After a significant amount of research, we chose the Eurotech DOC Table, the premier manufacturer of physical medicine equipment. 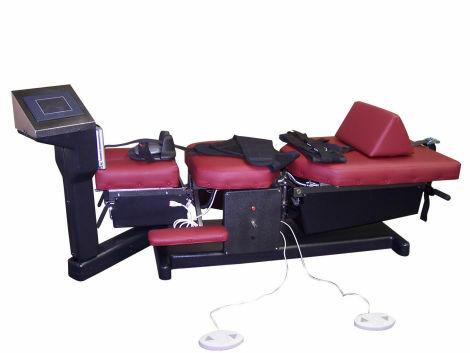 More importantly, our system has the computerized targeting system and does not employ a pully system like some of the cheaper decompression tables on the market. We also selected the DOC system due to the ability to treat discs in both the neck and the low back. Spinal surgery with instrumentation (screws, metal plates or "cages"), bone fusion or non-fusion surgery can be helped with our state of the art protocols, including oxygen therapy. In almost all cases, the treatments are completely painless. 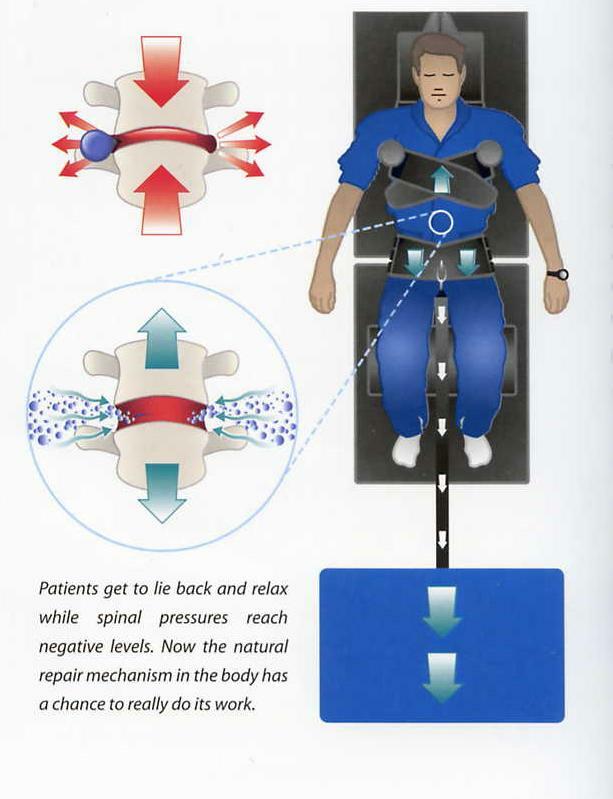 In fact, some patients fall asleep during the spinal decompression session. The number of sessions needed and your specific treatment plan will be determined by the doctor after your examination. Our customary fee for each spinal decompression session is only $75 (additional charges for necessary therapies may be incurred). This means the total cost will be a small fraction of the $5,000+ amounts that some other doctors are charging. We also offer financing that will allow you to finance the entire cost and make 6 monthly payments with no interest. Or if you need more time, you can set up repayment terms with the office. We want to make it easy for you to learn if you are a candidate for spinal decompression therapy. Just call our office to arrange a consultation with the doctor.